Food Industry Including major bakery manufacturers have been trying various renewable energy source such as Solar energy , Bio mass and other alternative energy to conserve and reduce cost .Grupo Bimbo is exploring to harness wind energy to get power for its factories . 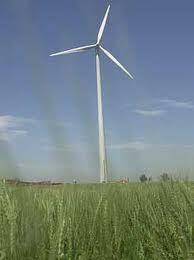 With this step it has set an example other major food manufacturers to adopt wind energy for sustainable growth . Grupo Bimbo S.A.B. de C.V. has begun construction on "Piedra Larga," which is expected to be the largest wind farm in the food industry, generating nearly 100 per cent of the electrical power at Grupo Bimbo in Mexico. According to Grupo Bimbo, the wind farm, which will be located in Union Hidalgo, State of Oaxaca,will have installed capacity of 90 mega watts, and will be able to supply power to 65 of the company's facilities. Grupo Bimbo also has invited Grupo Calidra, Frialsa Frigorificos and Papalote Museo del Nino to participate in the project. "The construction of this wind farm is a milestone in our effort to continue growing with the force of nature, making us the first company in the food industry to embrace the transformation to renewable energy," said Daniel Servitje, chief executive officer of Grupo Bimbo. "It represents an unprecedented effort in the use of renewable, clean and virtually endless energy: green energy." Mr. Servitje continued, "Grupo Bimbo continuously seeks to reduce its environmental footprint, and as such it operates under the highest performance standards. This is an effort we have undertaken for 10 years and is gaining greater importance within our five axes of environmental sustainability: energy conservation, water conservation, emissions reduction, waste management and corporate social responsibility. There is a chance you're qualified for a new government solar energy program.